L.D.B.A. is the governing body for competitive baseball in London, Ontario and surrounding area. Please have a look around during your visit and pass the web site address on to a friend. We want everyone to know about us. March 24 - NOTE: It was decided at the February meeting that we would repsect the Irish in our association and move the March meeting to the 24th. All meetings are scheduled for 7 p.m. to 9 p.m.
At T-Block on Elizabeth St.
London’s Neela Chanderdat and Mia Valcke of St. Marys are poised to play for a United States girls’ baseball team at a new tournament in Mexico. If that doesn’t sound like a script for A League of Their Own sequel, nothing does. 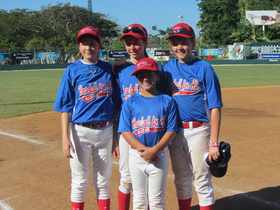 The local kids will join Brantford’s Stephanie Ellis and Ottawa’s Tess Forman on Justine Siegal’s New York-based “Baseball For All” under-12 select team at the Mayan Princess Cup Feb. 8-11 in Merida, Yucatan. The eight-year-old Chanderdat, who plays second base, suited up last summer for the Dorchester Diamondbacks major rookie boys’ team and was one of the leading hitters at the OBA championship. Valcke, an infielder and pitcher, played last year for the St. Marys peewee boys’ team and the Western Ontario Baseball Association’s peewee Bulls club. She played for Siegal last summer at a tournament in Cooperstown, N.Y., and also participated in the 2011 world children’s baseball fair in Japan. “Obviously, they’re doing something right in Ontario to produce girls of this calibre, and I don’t mean just their baseball ability, but the way they carry themselves and mix with their teammates,” said Siegal, who is also chair of the International Baseball Federation’s commission for women’s baseball. The Baseball For All team is 3-0 at the Princess Cup halfway through the Round Robin portion of the tournament. Oakridge Optimist Baseball and Byron Optimist Baseball are proud to announce their merged competitive program, the London West Tincaps. The Tincaps will begin their inaugural season this coming Spring!!! Justin Snively received the Level 5 Umpire of The Year Award and Matthew Smith of the London Badger Midgets was named Adult Player of the Year at the 96th Baseball Ontario Awards Gala in Alliston on November 17th. Smith who is currently in his first season at Roane State C.C. in Harriman, Tennessee was an integral part of the Badger Midget team that captured the bronze medal at the Baseball Canada Midget Championships in Quebec City in August. In the bronze medal game he pitched eight complete innings allowing only two hits. 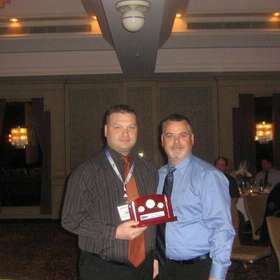 Justin Snively who was among the umpiring contingent at the 2012 Baseball Canada Cup in London was awarded the Don Gilbert Award which is presented annually to a Level 4/5 Baseball Ontario Umpire who shows exceptional devotion and dedication to the game. Also at the Baseball Ontario AGM, London was awarded the 2013 Baseball Ontario Senior Elimination Tournament. The tournament will take place over the Civic Holiday long weekend (Aug. 2-5) with the champion moving on to the Baseball Canada Senior Men's Championships which will be held in Windsor, Ontario August 22-26, 2013. Come meet Jerry Weinstein of the Colorado Rockies. In response to a number of enquiries from parents whose children are committed to playing on the Ontario Expos U12 or U14 teams in the summer of 2012, please be advised that the Ontario Expos are not affiliated with Baseball Ontario nor by extension, the LDBA. As per Baseball Ontario Policy, players who play on the Ontario Expos U12 and U14 teams are prohibited from concurrently playing for the Ontario Expos and any team governed under Baseball Ontario. This includes all teams within the LDBA. The London Midget Badgers will be making their fourth straight appearance in the Baseball Canada Midget Championships after defeating Newmarket 8-3 in the Final of the Baseball Ontario Elimination tournament in Sarnia on Civiv Holiday weekend. The Badgers will be defending their National Champioship in Quebec City August 16-20, but they are not the only LDBA team going to Nationals as the Strathroy Royals will be heading out west to Prince George, British Columbia for the Baseball Canada Senior Championships. The Royals earned a spot at Nationals by finishong second in the Baseball Ontario Senior eliminations dropping a close 5-4 decision to the Windsor Stars in the final. the LDBA PeeWee All-Star team. LDBA would like to thank all those who tried out. To register for the Peewee All-Star team, please email Chris Devlin directly at cdevlin@rogers.com . The London Badgers have recently completed another very successful baseball season capped off by the Midget Badgers winning the Baseball Ontario Elimination Tournament, a Bronze Medal at the Baseball Canada Midget Championships in Quebec City and a Silver Medal at the Baseball Ontario AAA Midget Championships, but the search for the next championship team will start immediately as tryouts for the 2013 Bantam and Midget Badgers teams begin in the next week. *Players born in 1998 and 1999. *Players born in 1995, 1996 and 1997. Try-out Fee: $60.00 (Payable to London Badgers) Due first day of try-outs. the LDBA Mosquito All-Star team. LDBA would like to thank all those who tried out. As part of the Bob Humphries Memorial Mosquito All-Star TOurnament the LDBA All-Star team will play at Stronach Stadium at 9 a.m. and 7 p.m. on Saturday, September 15 and 9 a.m. on Stronach #3 on Sunday, September 16. Semi Finals are at 11:30 a.m. and the finals are at 3 p.m. at Stronach #3 on Sunday. LDBA has named this tournament in memory of Bob Humphries who passed away earlier this year. Bob was a past president of the Eager Beaver Baseball Association, a long-time member of the LDBA and Baseball Ontario Boards. Bob's work with Baseball Ontario in the area of Risk Management was greatly appreciated and will continue to be greatly appreciated for many years. The benefits of his hard work and countless hours dedicated to Risk Management will remain apparent for years to come. A brief ceremony paying tribute to Bob Humphries and his contributions to the baseball community in London and thourghout the province will take play on Saturday September 15 at 2 p.m. at Stronach #3 prior to a skill competition that is part of the tournament. A number of people have asked us why we have a “no release” policy, as referenced on our website. Good question. The LDBA Board, which consists of the executive and representatives of all the Associations, approved this policy in 2006. It is designed to protect our associations and help us field balanced and competitive local leagues. Our objective is to have each association field competitive teams at all or most age groups. We have the best chance of accomplishing this objective if each player plays in the association in which he or she resides (i.e. 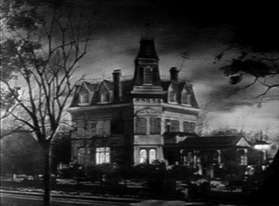 their home association”). Therefore we do not grant releases prior to registration and require each player to register with their home association. If we were to grant releases with no consideration for our objective, we would have difficulty forming good local leagues for our players. Following registration, if an association does not have enough players to field a team, a player who registered in that association can play for another LDBA association without the need for a release. The following season we would expect the player to once again register with his or her home association. The LDBA will ensure that every player has a team to play on if the home association does not have a team. "Any coach or manager who allows a player to participate in any game(s) or practice(s) with a team that does not hold his/her playing rights will leave the said coach and/or manager open to suspension by the OBA." "NO player, coach or manager may approach any other player for whom their team does not hold the playing rights with the intent of securing said player for their own team without the permission of the Local Association that holds the player's playing rights. Violation of the rule will leave the player, coach and/or manager open to suspension by the OBA." This would include all indoor workouts/tryouts, outdoor workouts/tryouts, practices, etc. When reporting your score to your convenor, please include the division, game number, scores, and pitch counts of both teams. It is the home team's responsibility to do this. Please ensure that you send the score to the correct division convenor as listed in the handbook which all coaches received. In Minor Bantam, Bantam, Minor Midget, Midget, Junior, and Senior, only wood bats may be used. These are subject to provisions in the Official Rules of Baseball. ENFORCEMENT: A player using a bat that violates this rule shall be declared out AND ejected under Rule 6.06(d). All runners return to the base occupied at the time of the pitch. In Bantam Girls, Peewee, Mosquito and Rookie Ball, metal bats are permitted with no restrictions beyond the provisions of the Official Rules of Baseball. NOTES: For the purposes of the rule outlined above, the following are to be considered wood bats: * Bamboo bats * Composite wood bats All BESR and BBCOR certified bats are allowed in Baseball Ontario play from Rookie to Peewee and all female divisions, with the understanding the list may be modified from time to time. Solid wood bats are always approved for Baseball Ontario play. LDBA has a zero tolerance policy when it comes to language on the field. It is inappropriate to swear during games. Please be aware that there are parents and other family members attending games. The umpires will be enforcing the zero tolerance policy. All umpires and coaches should read the attached handout regarding lightning. It is very important that has coaches and umpires you adhere to the policy. ALWAYS GO BY WHAT YOUR COACH IS GIVING YOU AS YOUR GAME DATES -- SCHEDULES ON THE WEBSITE MAY NOT REFLECT GAME CHANGES SUCH AS RAIN DATES, ETC. THERE WERE A COUPLE OF MIDGET GAME CHANGES -- COACHES HAVE BEEN NOTIFIED. THERE WAS A GAME DATE CHANGE TO THAMESFORD IN MIDGET 3 -- THIS IS NOW CORRECT. For divisions that report pitching, include pitcher's name and the number of pitches thrown. A report of the game is not necessary (eg. who had hits, stole bases, etc.,) unless there happens to be an injury or ejection. Each year Baseball Canada selects umpires from the Level 4 and Level 5 umpiring programs to officiate in Baseball Canada Championships. In the past many LDBA umpires have traveled across the country to National Championships, and 2011 is no exception. Adam Poirier will be in Vaughn, Ontario for the Bantam nationals, Justin Snively will be in Regina, Saskatchewan for the Midget nationals, and LDBA Supervisor of Umpires, Rob Companion will be in Windsor, Ontario for the Junior championships. Once again this is an indication of the fine umpires that LDBA has to offer. If you see any of these gentlemen on the diamond in the upcoming weeks be sure to congratulate them. Teams are reminded that playing non-registered teams and players will result in suspensions. If you are not sure if the team is a registered OBA team, please contact Dan Haugh at danhaughwfc@live.com We do not want to see any team or player suspended from play. a) Any registered team or player shall automatically suspend themselves upon playing with or against any team or players which are not registered with the OBA without first securing written permission from the OBA Board of Directors or the OBA Office; except where an entire team is playing an exhibition game(s) with teams up to and including Midget age, permission may be granted by the secretary of the Affiliated Association to which the team belongs. b) Any OBA team participating in a non-OBA sanctioned tournament without permission of the OBA shall be liable for a fine of up to $500 and may be suspended from further participation in any OBA sanctioned tournament and the OBA play-offs. When the temperature rises, be sure to stay cool! Extreme heat puts some people at risk for heat-related illnesses such as heat exhaustion and heat stroke. Know the symptoms of these illnesses and take steps to protect yourself and your family. It is expected that the number and intensity of extreme heat days will increase as a result of climate change.